Warmest welcome to you all! Welcome to your new home, your new adventure, and your new family. Please join me in a reflection on one of many perspectives on how living among SJC has impacted our lives. First and foremost, SJC is Fun. Where else can you learn from 150 people from everywhere under the sun, studying everything under the sun (and beyond – see the astronomers) day in, day out? You are free to learn all sorts of fun and funny things across cultures and across disciplines simultaneously. Like the fusion of intercultural and interdisciplinary growth, SJC affords you the blend of privacy in your own room and togetherness with fellow Junior Fellows in the Dining Hall and many other community spaces lit up by community activities. Good things seem to keep coming in pairs. Your journey with SJC gives you the blend of delicious food prepared by Executive Chef Clarence and his team with love, as well as the opportunity to cook with friends in the common kitchens and enjoy the tasty fare of Vancouver on the weekends. The best of both worlds does not end there. SJC allows you to devote yourself to your studies, while enabling you to take on new challenges, expand your comfort zone, and grow personally by contributing to various committees or leading your own initiative, thanks to the warm support and dedication of Principal Henry Yu and the Administrative Team, Senior Fellows, Staff, Alumni, and your fellow Junior Fellows. feel the warm blanket of belonging enveloped around you by your fellow Junior Fellows as you curl up on the comfy couches in the social lounge while cupping hot cocoa, all gathered to enjoy coffee house, as warm as the joy you feel on the inside. While these beloved memories continue to make me smile today, the impact of SJC that I am most thankful for is the nourishment it has kindly provided in mind, and the growth it has fostered in heart. As we nourish our bodies in the Dining Hall along with a daily exchange with friends from all parts of our world, we cannot help but gain insights into outlooks that expand our minds. Our daily exchange helps us open toward, understand, accept, and appreciate each other. The magic lives in that in continually exchanging with other members of our SJC family, we, in fact continually exchange our old selves for new selves, broadened in perspective. Watching how our fellow Junior fellows model various virtues also naturally helps us come out of ourselves and grow in empathy, compassion, and heart. We get that “meaning” means going beyond “me”. With these insights, we grow more aware of the common challenges that we face, in school, career development, and indeed, the human condition. 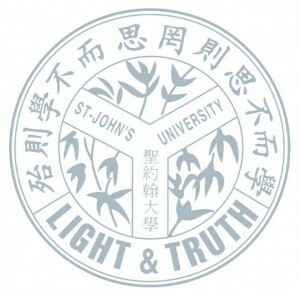 Perhaps our motto of “Light and Truth” captures it best: living among our SJC family shines a light onto the truth that be it interculturally, or interdisciplinarily, we are all interconnected. To borrow the words of another, you will likely find that though you may no longer live inside SJC, SJC will always live inside you. May you enjoy every moment of your own SJC adventure, and the special fellowship joining you and your fellow Junior Fellows to last for a lifetime!